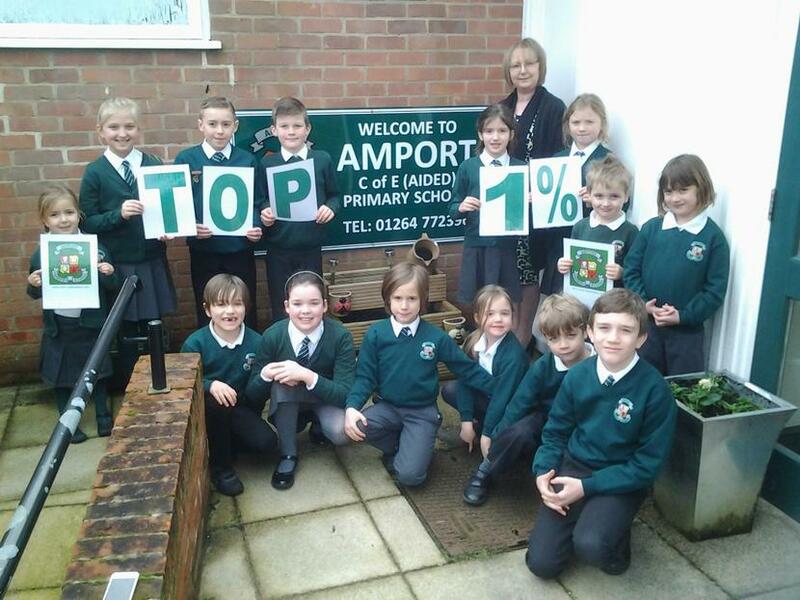 We are celebrating this week after receiving news from the Department for Education that Amport Primary School has been ranked in the top 1% of all primary schools in England. In a letter to the Headteacher, which was signed by both Rt. Hon Damian Hinds MP, Secretary of State for Education and the Rt. Hon Nick Gibb MP, Minister of State for School Standards, the school is congratulated for its exceptional results in the end of Key Stage Two Assessments for 2018. This achievement comes after every year six pupil in the last academic year, reached Age Related Expectations (ARE) in reading, writing and mathematics combined. 46% of these children achieved this at ‘greater depth’, which is the highest record across Hampshire.